Screen recorder is something that can be used to create a movie shown on a mobile display with audio recitation. Screen recorders generally used for recording screens for various reasons like for video gaming, “how to” solutions, software tutorials and office hour sessions. There are some best android screen recorder apps available that assist those students who need extra help without spending time for class and office. The only source of visual element of the presentation is the contents of the instructor’s tutorial and for this, Screen recorder plays an important role. Recording can be done from anywhere by taking command over laptop or computer, mobile phones or even from instructor’s office or home. Here in this article, I am giving information about the best android screen recorder apps that may help you in every possible way. So, let’s take a look. DU recorder is the app that allows you to create smooth and explicit videos. This app not only helps to create videos but also seize the screenshots and edit pictures. DU recorder app is stable and high-quality screen recorder with too many attractive features. It provides us with a fluid screen recording that helps us to record mobile game video easily and calls with family and friends. High-quality videos like 1080p, 12 Mbps, 60FPS can be recorded. Its interface supports more than 20 languages. It has a video editor that supports to change the speed of the video, trimming, merging, adding subtitles, adding background, intro & outro to video and much more. 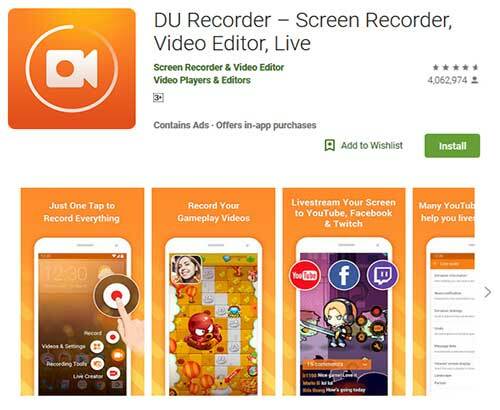 Screen broadcast of DU recorder allows you to stream your screen live to Twitch, Facebook, & YouTube. It provides us with screenshots and image editing. For the pop-up window you can now choose different themes. Some users may think that this app charges money for some features that were free before. This app is free, but still, users have to pay for the premium version to crop and edit the video. This app doesn’t allow for HD recordings. The best screen recorder for android includes qualities like no time limit, no watermark, and no root access. This app provides all the beautiful features for free and easy to use. This is the only app in the present time that allows you to pause and resume the recordings. Come with a magic button to control recording without showing on the screen. This app has overlay front camera and countdown timer. You can trim unnecessary information to make it short and useful. This app allows you to record screen and live streaming on social media. Except English, this app also supports other global languages like Portuguese, Arabic, Korean, French, German and Spanish. Performance of the app is improved and general bug fixing. 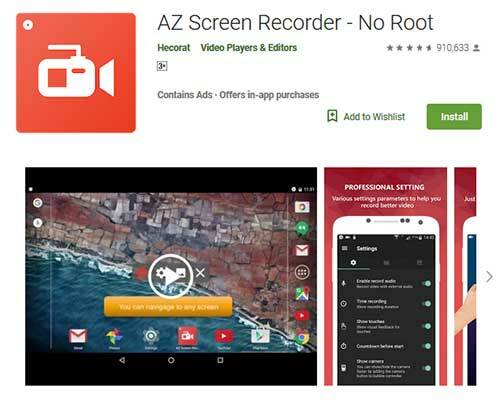 The only disadvantage of using AZ Screen recorder is that it supports only Android 5.0 or higher Android versions. The basic version is FREE to use. For PRO version you have to pay the US $ 2.99. 4.6 Stars out of 5. 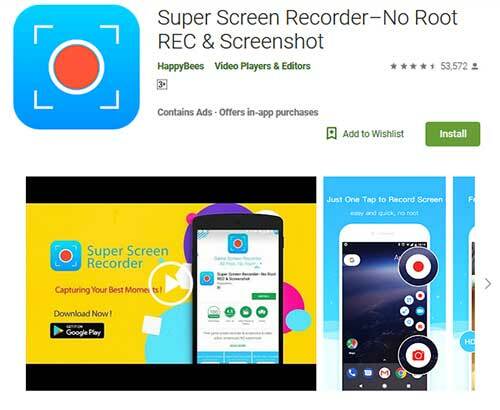 Super screen recorder includes in one of the best android screen recorder apps as it has the executive recorder & screenshot apps. This app comes with easy to use interface and superb video editing features. You can do full HD recordings with high quality like 1080P, 12Mbps, and 60FPS. At the time of recording and catching the screenshot you are able to mark symbols on the screen. It comes with a video editor that helps to compress the video and makes easy to share with friends. GIF maker helps to convert your favorite part of video footage into an animated GIF. Improvements in malformation problem at the time of shifting in the middle of horizontal and vertical screens of some models. Recording success rate has optimized. Crashing of the display after the pause of recording screen has been fixed. It contains ads that interrupt you and if you want extra features then have to do in-app purchases. 4.5 Stars out of 5. 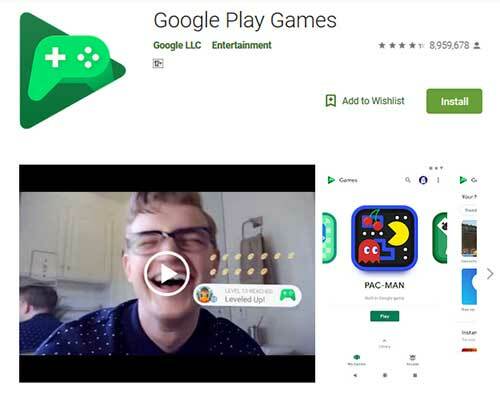 Google play games are included in the best screen recording apps as it gives great experience while playing games and you can even earn achievements and high scores. Playing games is fun with this app you can find out new games and challenge your friends. You can resume the play from any device wherever you stopped. You can create your personal game id and earn XP and level up as a master. You can earn achievements in the form of awards by completing challenges. You can easily record the best game moments and share them with your friends. The better, stronger, and faster game plays as Google Play game beats the bugs. Recording quality is only 720p or 480p which is not good. Usable in only game recordings. 4.3 Stars out of 5. 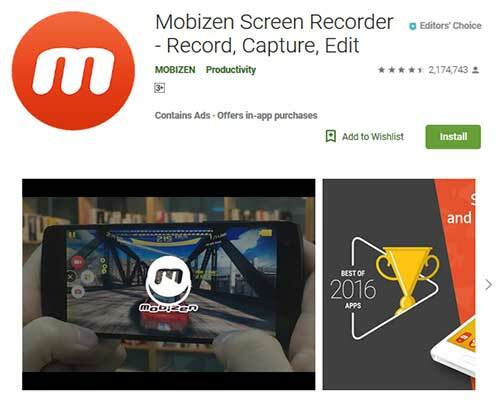 Mobizen is easy to use and best screen recorder for androids. This app allows you to record, edit and capture and also best to make videos. Variety of video editing feature increases the quality of your video. Clean recording mode helps to record clean screen without watermark. You can use screen recording, editing, capture and even removing of watermark for free. Only Mobizen screen recorder can be used with No Rooting from OS 4.4. The Chinese language has added that may help to use in Macao, Cantonese, Hong Kong, and Singapore. Stabilization and improvements in image & text watermark issues and pause function during recording. Crashes on Android Pie (9.0) are fixed. This app drains the mobile battery very fast. 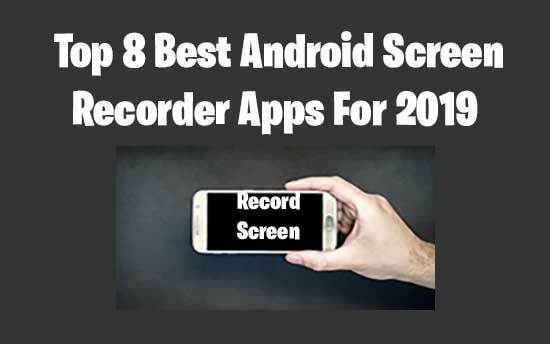 Install any of the above; all are the best android screen recorder apps with each one has something special in it. Have fun by enjoying video recording for anything like gaming skills with your friends. If you find the above list of mobile screen recorders useful, then don’t forget to share your comments in the comment box given below. Stay connected with us for more details. (NOTE: – All the prices mentioned for apps is at the time am writing this article, please check the same once before downloading).